has been sung and recorded by numerous large groups, often accompanied by Travis’ full orchestrations, his brass & percussion arrangements, or instrumental obbligati. In addition, custom recordings have been made by several individuals and by professional Music Evangelists, The Farrells. NOTE: Please be patient for a few moments. This page features several music players which take a few moments to load. You will then be able to scroll down normally. Lorenz Music, Hal Leonard, Shawnee Press, Choristers’ Guild, and Lifeway. * Easy links have also been provided for our publishers and for distributors of our music. These linka are located in our blog’s sidebar. Just scroll down to find them. You’ll see the logos with links to our Publishers and to your favorite music distributors. Just click one of the logos to see what is currently offered online by that Music Publisher or Distributor. We’ve done the searching for you. Tracks, and Brass/Rhythm Arrangements to accompany Anthems). Each anthem has a listening link and a sample pages link there as well. * Some of Travis’ anthems from the 1980’s are now out of print. ( A ) “Amazing Grace! Eternal Life!”… An SATB power ballad, this anthem contains a whole gospel message, with a bridge section that is a lyrical paraphrase of John 3:16 & 17. The anthem steadily builds in intensity to the victorious ending. 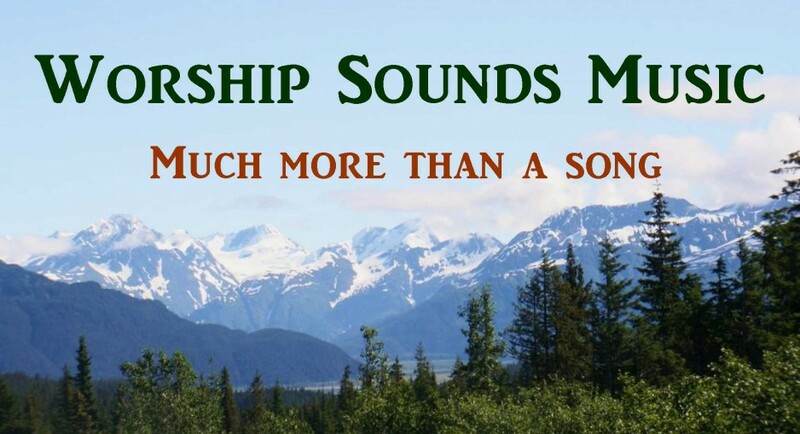 (see the blog post entitled “Blessings Through Worshipping Together” for information about the CD and DVD recordings of this piece by The Singing Churchmen of Oklahoma, The Singing Churchwomen of Oklahoma, and The Oklahoma Baptist Symphony). A Full Orchestration is available, as heard in the Studio Demo. A Performance/Accompaniment CD is also available. “Amazing Grace! Eternal Life!” has also been published in the Mandarin language in a book for Chinese Choirs. Here is a video link for a performance of the anthem by the Mandarin Baptist Church of Los Angeles, California, USA. A Brass & Rhythm score + parts set is available. A performance/accompaniment CD is also available. A full orchestration is available for this piece, as heard in the studio demo. A performance/accompaniment CD is also available. 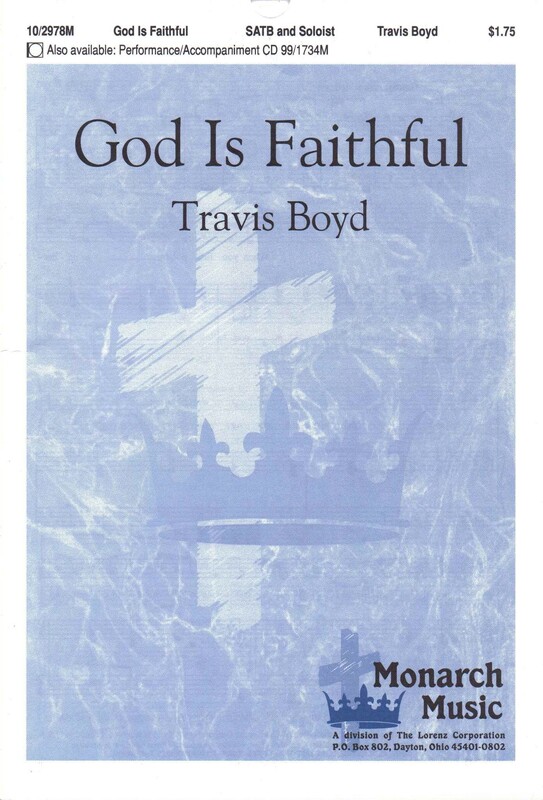 ( E ) “The Great I Am”… An SATB anthem with a bold declaration of faith. You’ll find information about all of Travis’ Lorenz anthems & products at the link below. There are listening icons for studio demos & Adobe icons for sample music pages for each of the anthems. Related products listed along with the choral octavos include Brass and Rhythm Score & Parts sets, Performance/Accompaniment CDs, & Full Orchestrations for the anthems “Amazing Grace, Eternal Life!” and “God is Faithful”. The beautiful new tune fits the traditional text extremely well, actually serving to enhance the meaning of verses. 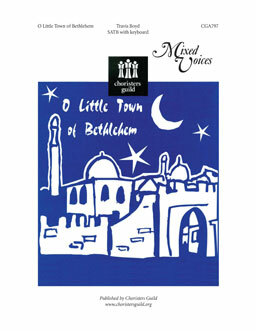 This SATB anthem is available through Choiristers Guild & also distributed by Lorenz. Several music distributors also have this piece available. This youthful, vibrant recording was made by the Pasadena Tabernacle Songsters. “Children of Light” is still available through several music distributors and from Hal Leonard/Shawnee Press on a print-on-demand basis. This upbeat, rhythmic song of thanksgiving provides a joyful reminder of many reasons to give thanks. Be sure to listen for the descant and for the verses, which give a call to thanksgiving for faithful hearts (with a quiet intensity, contrasting the energetic chorus). 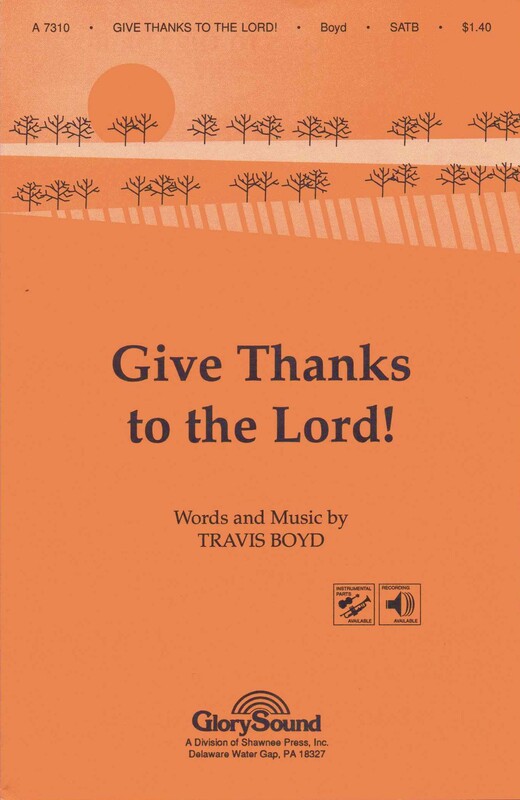 “Give Thanks to the Lord” was also recorded, in a special TTBB arrangement by Travis, on the “God is Faithful” CD made by The Singing Churchemen of Oklahoma, then under the direction of Dr. Bill Green. (The audio of the TTBB recording can be found in our SoundCloud set of “Recordings made by BGCO groups” (Baptist General Convention of Oklahoma). * “Praise God” features a beautiful new melody and setting for the traditional “Doxology” lyrics, with a portion of the hymn “Praise to the Lord, the Almighty” added to this amazing arrangement. You’ll love this inventive and meaningful new tune and setting for the Doxology! Hear the entire studio demo for this majestic anthem on the sound cloud below. This gentle, lyrical anthem features a solo on the first verse, which continues as a descant later in the piece, along with the SATB voice parts. We have not yet tracked down all of the studio demos for these publications but will do so as time permits. “MORE THAN A CROSS” was published in the Winter 2005-06 edition of ‘Glory Songs’ SATB, pages 27 through 32. This anthem can be reprinted with permission from Lifeway. Use this link: http://www.lifeway.com/PermissionsRequest/ to contact Lifeway. Then, choose the option “to use or publish music”. You will then be given the opportunity to enter all pertinent information in order for your request to be sent to the right individual at Lifeway for processing. Click this SoundCloud logo to go directly to my SoundCloud. NOTE: All of the music on our Sound Cloud is still available at the links given in the information for each Choral Anthem or Vocal Solo. IMPORTANT: Click on the anthem title in order to see all of the information while playing the demo. You’ll find 30 Choral anthems for Adult Choir, Youth or Student Choir, Senior Adult Choir, and School, University, or Community Choir. 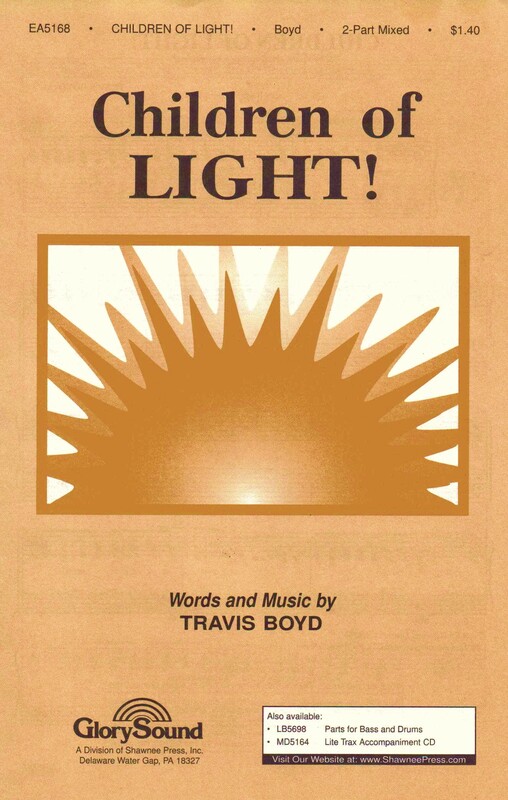 Choral anthem PDFs are priced at $10.00 to $15.00, depending upon length and difficulty level, with permission to make an unlimted number of copies (for YOUR choir only). * You can VIEW THE MUSIC as you LISTEN TO A COMPUTER DEMO with our unique Video Demos of each Anthem or Vocal Solo. Our WorshipSounds Video Demos allow you to listen to the demo as you view the music without scrolling. The video does the scrolling for you! * Links to Video Demos for Choral Anthems can be found on both our Adult Choir music page & our Youth, Sr. Adult, & School Choir music page. * Links to Video Demos for our Vocal Solos can be found on our website’s Home Page in the sidebar at left. * Some of our anthems are available in ALTERNATE VOICINGS. We have anthems available in SATB, SSATB, SAB, Two-part, SSAA, and TTBB (Some voicings are the same versions used by the Singing Churchmen of Oklahoma, The Sons of Jubal, and the Jubalheirs). * We are working on producing high quality ACCOMPANIMENT TRACKS for all of our Choral anthems and Vocal Solos. When the Anthem has a Full Orchestration, that orchestration will be featured on the Accompaniment Track. Other tracks will use appropriate instrumentation ranging from piano only to rhythm section to piano or rhythm section with an obbligato part to piano with strings. Currently, three of our Choral Anthems have Accompaniment Tracks, which also work with the Medium Voice versions of the Vocal Solos for the same songs. * For information about the Vocal Solos on our website, scroll down past the list of Choral Anthems below. Solo version PDFs are $5.00, with permission to make copies for your soloist and accompanists or rhythm section. We also have brand new Accompaniment Tracks available for the Medium Voice Vocal Solo versions of “Much More Than a Song” and “For the Sins of All” plus for the only Vocal Solo version of “Where You Want Me to Be”. These accompaniment tracks also work with the corresponding Choral Antems. * We also have performance video links on the website for some of our anthems, with more coming soon. Note: This anthem has been sung and recorded by the Georgia Baptist Convention’s Jubalheirs, under the direction of Dr. Jon Duncan. Note: This anthem was performed in SSAA Voicng by The Singing Churchwomen of Oklahoma, then under the direction of Dr. Bill Green. Note: This anthem was also performed in SSAA Voicng by The Singing Churchwomen of Oklahoma, used as a concert opener, with the group then under the direction of Dr. Bill Green. (s) “Magnify” (SATB, with Soprano Solo throughout – for Christmas (inspired by Mary’s song of praise after visitation by the angel Gabriel) or for Choral praise at any time of year) Magnify is also available as a Vocal Solo, and there is a beautiful Accompaniment Track available that works with the Choral Anthem or with the Soprano Vocal Solo. Note: This anthem has been performed by The Singing Churchmen of Oklahoma, under the direction of Dr. Bill Green, and the Georgia Baptist Convention’s Jubalheirs, under the direction of Dr. Jon Duncan, who recorded it on their CD called “New Every Morning”. 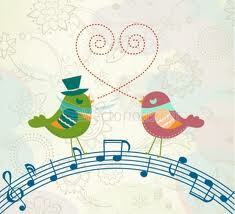 (FF) “We Have Met to Worship” [(This song is for Congregational Worship but can be introduced as an SATB Choral anthem. 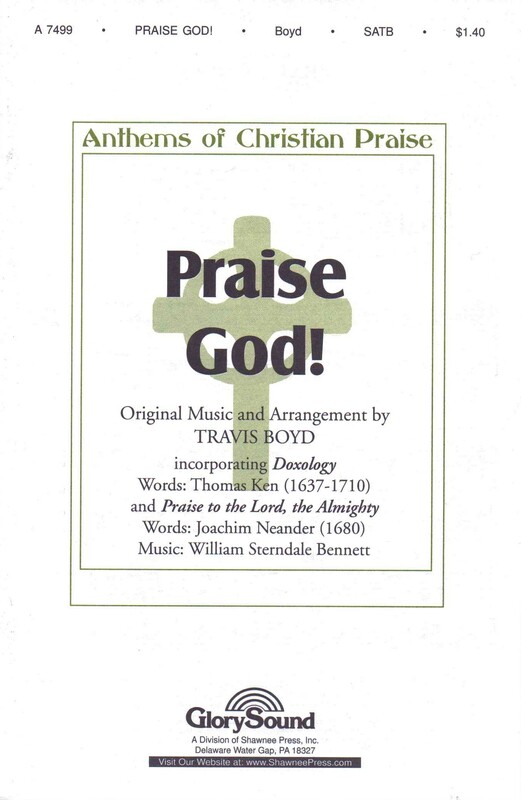 The Worship Pak includes SATB Choral parts with piano (reproducible PDF) and PDFs for praise team (SAT parts) and Praise Band (lead sheet)]. A Full Orchestration is sold separately. Note: This anthem has been sung by both The Sons of Jubal and The Singing Churchmen of Oklahoma. Here is a link to a performance video of “Where You Want Me to Be” from a Sons of Jubal concert in September, 2010. The soloist is Travis L. Boyd. 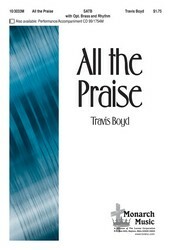 * Some of our Choral Anthems are also available in SOLO VERSIONS. These Solo Versions can be found on our website’s Home Page in the sidebar at left. * “Magnify” (available as a Soprano Solo, with Accompaniment Track also available.) Originally written for Christmas, this solo is inspired by Mary’s song of praise after the visitation of the angel Gabriel. It can be sung at any time of year, however. Note: An Accompaniment Track is available for the Medium Voice version of the “Much More Than a Song” Vocal Solo. There are no trax yet for the 2 other keys. The current track also works with the corresponding Choral Anthem and features the Full Orchestration. It can be heard in the Sound Cloud set below. Note: An Accompaniment Track is available for the Medium Voice version of this Vocal Solo. There are no trax yet for the 2 other keys. The current track also works with the corresponding Choral Anthem and features the Full Orchestration. It can be heard in the Sound Cloud set below. Note: There is also a Solo version of the “Since I Have Been Redeemed” Choral Anthem on our Adult Choir page. Look for the Anthem version that has Solo throughout with Choral back-up. Solo version PDFs are $5.00, with permission to make copies for your soloist and accompanists or rhythm section. We also have brand new Accompaniment Tracks available for the Medium Voice Vocal Solo versions of “Much More Than a Song” and “For the Sins of All” plus for the only Vocal Solo version of “Where You Want Me to Be”. These accompaniment tracks also work with the corresponding Choral Anthems. Here is a Sound Cloud set of our available Solo Accompaniment Tracks (with demo performance vocal by Travis). Additional tracks will become available as time permits ad will be added to this set. On our website, this audio is paired with video of the vocal line for each solo with our Video Demos.